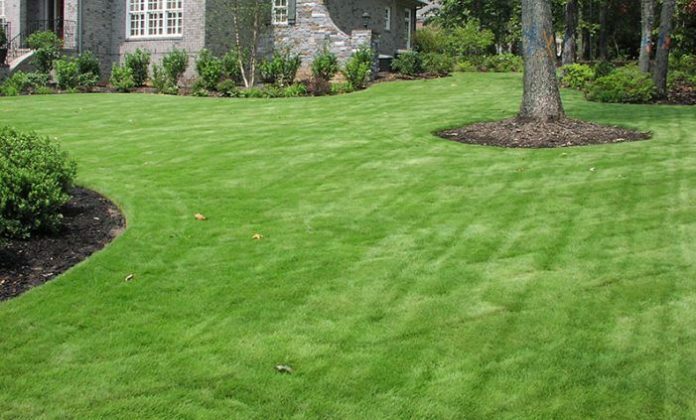 Zoysia lawn is the perfect grass for your garden. What makes it perfect is the fact that it can tolerate the drought and the heat. You will have a lawn with a perfect green color in the growing season. You can maintain it quite easily without worrying about a lot of things. Below we are going to provide a detailed guide about the different types of zoysia lawn. We will also give you tips on how you can plant it and grow it. We will give you tips about the pests and diseases that might harm it and finally we will mention why it’s perfect for the whole family. Zoysia lawn is a very popular lawn all over the U.S. It is a durable type of lawn. You can find three different forms of zoysia lawn. There are the sod, the net, and the plug grid. This lawn spreads horizontally. It also has stems that grow underground and they have the name of rhizomes. The best season for his grass to grow would be from June to August. What makes this particular lawn perfect is the fact that is resistant to diseases and you don’t need to spend a lot of money in order to maintain it. The drawback that this lawn has is that during the winter months the color changes to brown. Let’s have a look at each one of them. 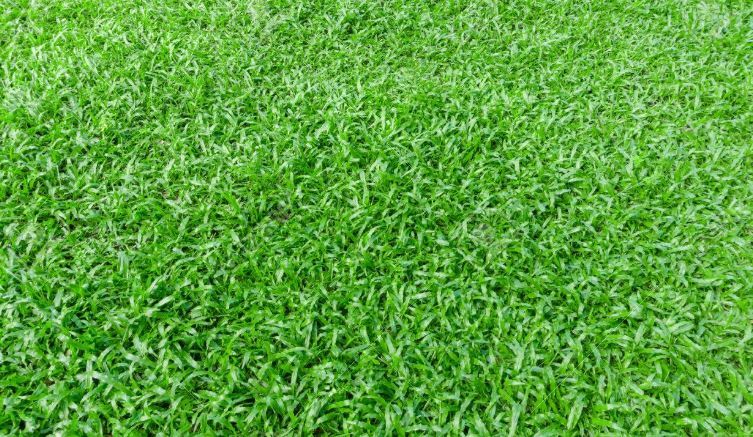 Mascarene grass is a type of zoysia lawn that is also known with the name of Zoysia Tenuifolia and Korean Velvetgrass. It has taken this name because it is native to Asia and it was brought to the U.S. from the Mascarene Islands. This lawn has a dark green color. Additionally, it can reach the height of 6 inches. This type can also grow in shade and it doesn’t require sunlight. It grows quite slowly and it’s very high for this reason, you don’t need to mow it. It won’t thrive in low temperatures but it is quite resistant to drought. 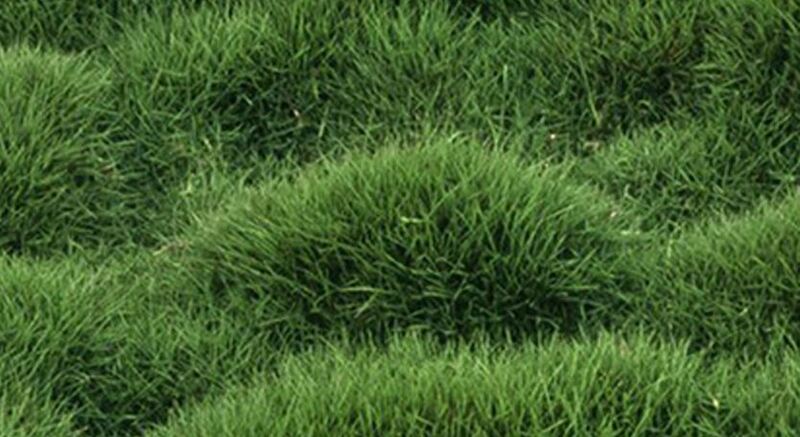 Mascarene grass is ideal for lawn and for groundcover in your garden. Manila grass is also known as Siglap grass and is another type of zoysia lawn. This grass is native to the Philippines. This grass needs moderate sunlight in order to grow. The grass just like the Mascarene turns brown too during the winter time and during the springtime, it turns green. The blades of Manila are narrow, long, stiff and are also covered with fine hair. It can grow up to 13 inches. What is great with this zoysia lawn is the fact that it grows perfectly well in sandy soil too. During the early months, it might a bit slow. From 5 to 7 weeks it will start growing rapidly. Unfortunately, it might be infected by nematodes. Another type of zoysia lawn is the Korean lawn grass which is also known as Zoysia Japonica. It is native to the Manchurian province which is in China. This variety is perennial and has a coarse texture. 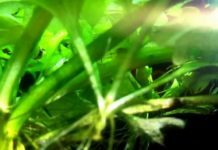 It has a green color and its blades are covered with fine hair. It grows quite slowly and its length can be 12 inches. What is great about it is the fact that it isn’t affected by high temperatures and it is drought resistant too. As we mentioned with the 2 previous types the Korean lawn turns brown too during the winter months and it regains the green color form spring. It wants sunlight to grow but partial shade won’t affect its growth. The soil must have a neutral pH (check this professional pH Tester) and it must drain well. This particular type can grow from seeds but you need to take good care of it. This lawn is susceptible to nematodes and billbugs. The Advantage of Korean grass is that it can grow in all weathers, either rainy season or summer season won’t affect the growth of the grass. Apart from the 3 well-known types, there are also other types that are available. You can find zoysia lawn types such as the El Toro, the Empire, and the Emerald one. All of these types are quite similar to the types mentioned above. In general, this lawn needs basic maintenance. Zoysia lawn can be planted once you have prepared your soil. You need to test your soil because it needs neutral pH or slightly acid in order to flourish. You also need to cultivate your soil 6 inches and to incorporate lime, or organic soil. You need to start planting your seeds from late spring to early summer. The temperature should be over 24 degrees Celsius. Don’t plant the seeds in late summer because the plants that grow slowly won’t be properly established. You can the plant from 1 to 2 pounds of zoysia lawn seeds per 1.000 square feet. Then you need to cover it lightly with the soil by rolling or even raking the turf area. What you can also do is to plant the seeds shallow. You can do that because the seeds need exposure to sunlight in order to germinate. Zoysia lawn is drought-tolerant and heat-tolerant which makes it ideal for your garden. 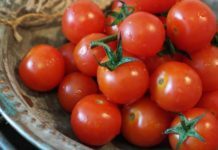 It will grow best in the USDA zones from 5-11. Fertilization is also significant. After 4 weeks it will be the best time to apply the fertilizer. You can use 1 ½ pounds of nitrogen per 1.000 square. 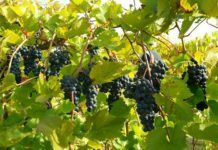 You can do that once every month during the growing season. After the 1st year, you will be able to apply a lighter fertilizer to your zoysia lawn. In this way, your lawn will be healthy. Don’t forget to apply it after spring and in late summer. Mowing the lawn is equally important. You need to start mowing it when the seedlings reach 2 inches. You can mow the zoysia lawn with any kind of mowing machines. When you maintain it in the correct way you will have a healthy lawn all year long. If you manage to have the lawn with 1-2 inches that will be in full sunlight and 2-3 inches in the shade that will be ideal. Apart from the fact that the zoysia lawn doesn’t grow very fast, you should be careful with pests. You need to protect it in order to have the right color and to be healthy. Below we will mention the common problems that you might face and the pests that might infect it. If you follow our guide you will have a healthy and beautiful lawn all year long. Some of the common problems that you might face with zoysia lawn are the change of color and the slow growing. As we mentioned before during the winter months the color of the lawn might change and that might be a small problem for some of you. Additionally, slow-growing might mean that if something happens to it, it might take time in order to recover. Also, it is quite difficult to remove it. During the winter months, it is possible that something might happen to it. There is a chance that the zoysia grass will create a thatch. The thatch is a thick, brown or even black layer of debris that is formed between the soil and the grass. If the thatch is more than 2/3 thick it is more difficult for the pesticides to reach the soil. A dry layer is created and makes it quite difficult. Some of the diseases and pests that might cause trouble are the grubs, the billbugs, the mole crickets, the nematodes and the zoysia patch disease. The grubs eat the roots of the grass. This will lead to small brown patches. The patches will be like sponges due to the root damage. If you want to get rid of them, use the Scotts GrubEx. It will help you eliminate them. If you’ll have bill bugs then the grass will turn brown in patches. This might take place from mid-June to late of August. The billbugs are white with brown heads. They vary from ¼ to ½ inches long. What you need to do in order to protect your zoysia lawn is to fertilize it and to reseed the areas that had the problem. Mole crickets are gray-brown in color. They are about 1 inch long and they also have wings. The nymphs or the young ones don’t have wings. They also have velvety bodies and they have wide front legs that help them dig. If you overwater, mow the zoysia lawn a lot and fertilize it more than necessary the crickets will appear. These crickets create a thick and spongy mat of runners on the soil surface. They will dig the soil and during the warm months, they will feed on the grass, at night. The females will lay their eggs beneath the soil. A good way to get rid of them would be the organic control. What you need to do is to create your own soapy water. Add 2 tablespoons of dishwashing liquid to 1 gallon of water. Then pour it in the area that the crickets are. You need to repeat this process early in the morning and late in the evening. If you’ll use a chemical to protect your zoysia lawn, use Imidacloprid which can kill the small nymphs too. Apply it overnight. You will notice that the crickets will surface. The best months that you can apply that are June and July. Additionally, the right temperature should be at least 60 degrees F in order to get the best results. The zoysia patch disease kills the zoysia lawn. It kills the grass and as a result, it takes a rust color. A good way to help prevent it would be to remove the clippings when you mow the lawn. Additionally, you shouldn’t mow the lawn when is wet and you should maintain the proper nitrogen levels. If the disease continues to exist then you could also use fungicides. You will need to apply the fungicide every 14 days. You can choose form a big variety of products depending on your budget. It’s up to you to choose the right one. Finally, the nematodes are quite harmful to the zoysia lawn. Nematodes eat the roots of the grass and that might cause a change of color and even the death of the grass. You can use different insecticides in order to get rid of them. Also, you can use neem oil in order to fight them. It’s up to you. 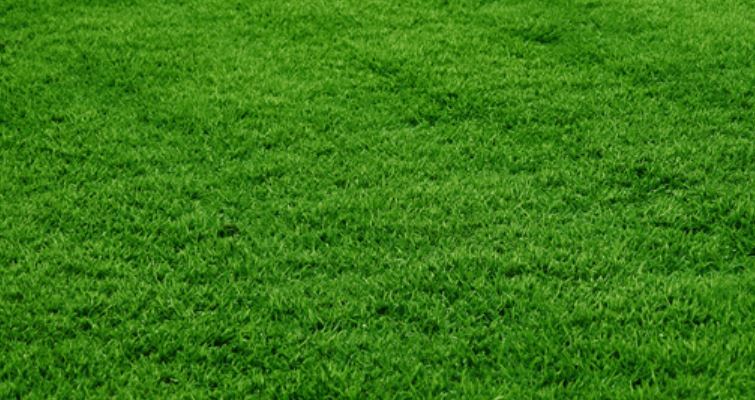 In general, zoysia lawn is quite safe for your children and your pets. This happens because when the grass grows there is no use of chemicals. The children and your pets can play for many hours without worrying that they will be contaminated. It is a lawn that they can play and nothing will happen to them. Additionally, this lawn is tolerant to the urine and feces of your pets. This doesn’t mean that you shouldn’t pick them up because the constant exposure might cause damage to the zoysia lawn. When you have new plugs you should keep your pets off the lawn because it needs to be established. In order to restore the right pH level of your zoysia lawn, you should periodically lime the soil. Finally, this lawn is also perfect for horses. If they eat it nothing will happen to them. It is a lawn that is perfect. Zoysia lawn has different types. The type that you will choose for your garden is entirely up to you. It is a perfect lawn because you don’t need to do a lot of things in order to maintain it. It can withstand long periods of drought and this makes it perfect. If you manage to maintain and keep the zoysia lawn healthy your children and pets will play there without worrying about a single thing. If you find pests or diseases in your lawn then you will need to follow our tips in order to get rid of the pests and to eliminate the diseases. Follow our guide and you won’t lose!